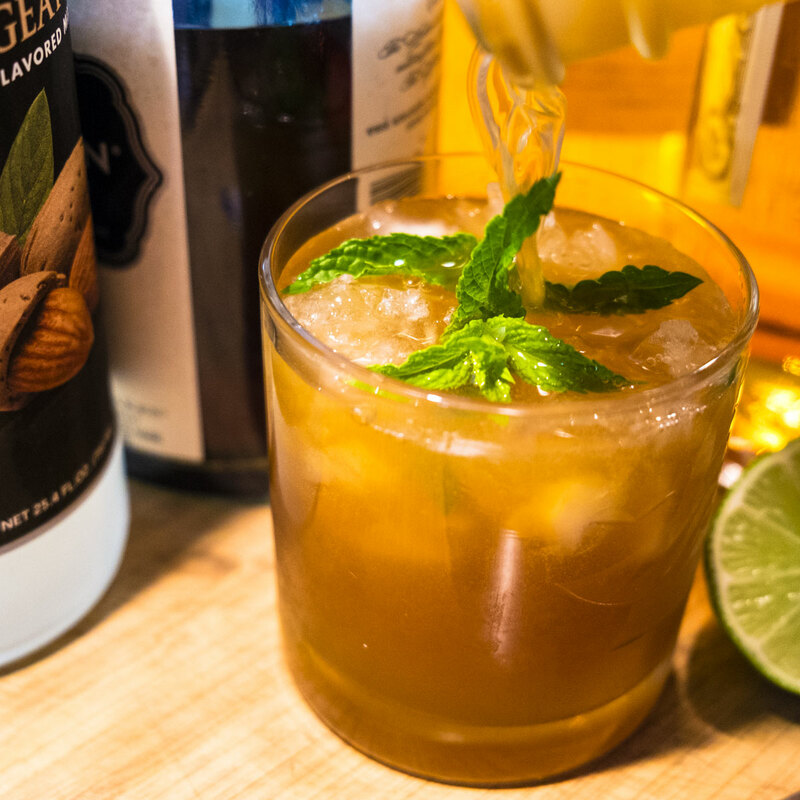 Nothing says summer nights like a Mai Tai! Created in 1944 by Trader Vic this classic cocktail has been “improved” so much, the modern cocktail only shares one trait with the original - Rum. We use a very dark and a lightly spiced Rum to approximate Vic’s original Rum of choice. Enjoy this cocktail any night of the week. Combine all the ingredients except garnish in a shacker. Shack to chil and double strain into a Double Old Fashion Glass with crushed ice and garnish.